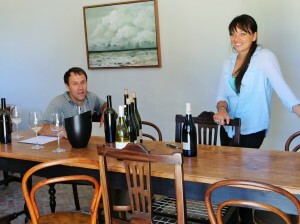 Visiting the wine estate Reyneke, we were guilty of a faux pas, unaware that tasting should be by appointment. None the less we were graciously accommodated between two bookings. The tasting was a friendly personal interaction where assistant winemaker Nuschka shared her knowledge and passion for what she does. Reyneke is a biodynamic estate. Not only are organic principles followed, but companion planting is used and by-products such as grape skins are returned to the soil, adding nutrients in a harmonious circle of life. Ducks and chickens control pests, snails being a particular favourite of the ducks and we were amused to watch a chicken hopping on the spot to steal grapes off a vine. Not only do Reyneke give back to mother earth. They also give back to loyal staff, recognising the great value of the people who work on the farm. A percentage of earnings from the Cornerstone red goes into a fund which aims to assist long-standing workers to buy homes and educate their children. To date 4 workers families now have their own homes and tertiary education for the first ‘farm child’ is now being covered. This is still early days for this compassionate project. 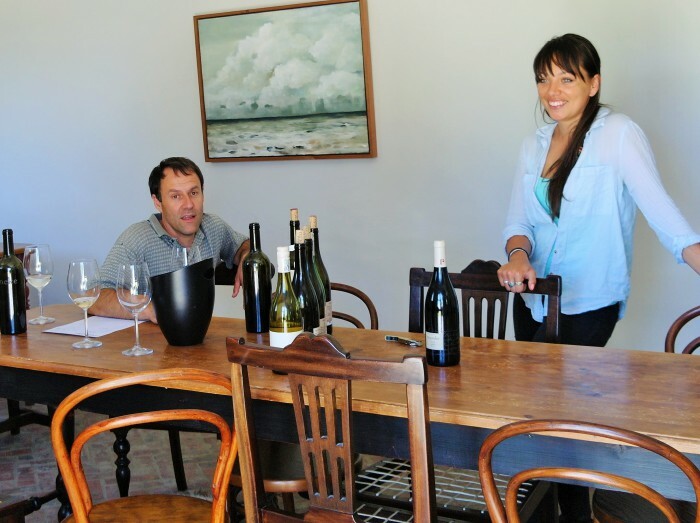 We enjoyed Reyneke’s wines, notably the Cornerstone, but their caring for both nature and humanity adds real depth and substance to Reyneke in a me, me, me world. It is my hope that more wine estates begin to be more cognizant of environmental issues and like Reyneke and Villiera take steps to make a real difference. I’d raise a glass to that!